Subject Headings Manual (SHM) provides guidelines to use Library of Congress Subject Headings (LCSH). The manual was originally conceived as an in-house procedure manual addressed to cataloging staff at the Library of Congress. From the very beginning, however, the manual included not only procedures and practices to be followed by LC catalogers but also substantive explanations of subject cataloging policy. Other libraries who wish to catalog in the same manner as the Library of Congress as well as faculty at schools of library science who wish to teach Library of Congress subject cataloging policies to their students should follow the guidelines of the Subject Headings Manual (SHM). 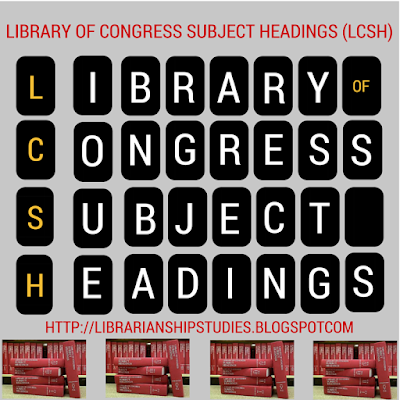 Librarianship Studies & Information Technology Blog will be more focused on the techniques of Library of Congress Classification (LCC) and Library of Congress Subject Headings (LCSH) by use of Classification & Shelflisting Manual (CSM) and Subject Headings Manual (SHM) and Classification Web tool of Library of Congress, and Dewey Decimal Classification (DDC). 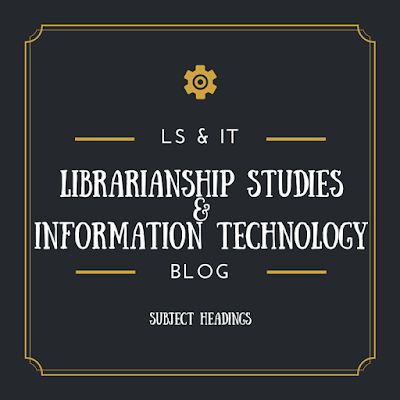 Follow Librarianship Studies & Information Technology in Social Media blog to be updated of new items and start/comment on the discussions in the Google+ Community Librarianship Studies & Information Technology and Facebook Group Librarianship Studies & Information Technology.